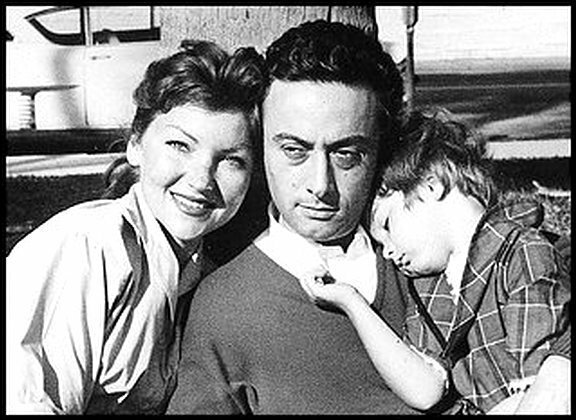 Lenny Bruce with his wife, Honey and daughter, Kitty, in 1960. Lenny Bruce’s Daughter Kitty, Washington Post Columnist Richard Cohen, Constitutional Law Professor Corey Brettschneider, Down With Tyranny’s Howie Klein, PETA’s Emil Guillermo, Jackie “The Joke Man” Martling, and Comic Aaron Berg. Hi Kitty..whata Beautiful Mom Hon..your were Cute as a 5 Yr old..even Cuter today..
(((HUGZ))) from Rump/aka: R.J. in Florida..(Home of the Newly Wed..and the Nearly Dead)..